Jason Mohammed will be leading the West Indies side playing in his 21st ODI. West Indies ODI and Test captain Jason Holder returned home ahead of the final ODI against England in Southampton. Holder has departed early to attend his uncle’s funeral. Vice-captain Jason Mohammed will get an opportunity to lead his country for the first time on Friday at the Rose Bowl. England has already clinched the series when they won the fourth ODI by 6 runs in a rain-hampered game. The visitors will be keen to avoid a whitewash and will be playing for pride in the final game of the series. They played brilliantly in London the other day but were unlucky to end up on the losing side despite Evin Lewis getting an unbeaten 176 and Alzarri Joseph getting a five-wicket haul, as Holder pointed out in the post-match presentation. The English crowd will be hoping to see some fireworks from Chris Gayle’s bat for this might be the last time the ‘Universal Boss’ will be seen playing in England in national colors. Aged 38, he looks unlikely to make the cut for the 50-over World Cup in 2019 which will be held in England. With Holder not available for the final game, the balance of the West Indian side will also be severely jolted as the skipper offered balance to the side by playing the dual role of a batsman and a seamer. 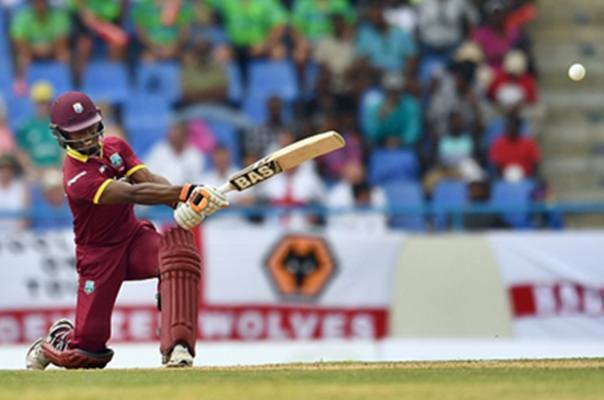 He hit an enterprising 62-ball 77 in the last game and was involved in a 168-run partnership with Lewis which took West Indies past the score of 350. The visitors will now have to include an extra batsman in the XI which will be a tip off between Kyle Hope and Sunil Ambris. The latter looks more likely to get a game as Hope has had a terrible time this summer scoring just 232 runs in 13 innings at 17.85 on this tour so far including 42 from 6 Test innings.